The 349 artifacts which were recently returned home from Belgium have been unveiled at the National Museum of Iran with President Rouhani in attendance. 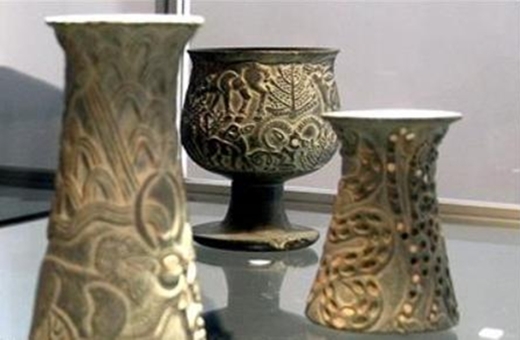 Director of the Cultural Heritage, Handicrafts and Tourism Organization Masoud Soltanifar said the return of 349 historical items to the country has been the biggest gain of its kind so far. He made the remark in Tehran on Saturday while talking to reporters on the sidelines of a visit by President Hassan Rouhani to an exhibition set up to display 349 historical items which are back home from Belgium. He said that the historical items belonged to Khurvin, a village in Alborz Province, which were illegally taken out of the country about 50 years ago. He said Iran pursued the case in different courts for about 35 years and managed to get the final verdict just recently in its own favor. He said the items dated back to 3,000 years ago. According to the official, the National Museum of Iran already has 228 items belonging to the period.